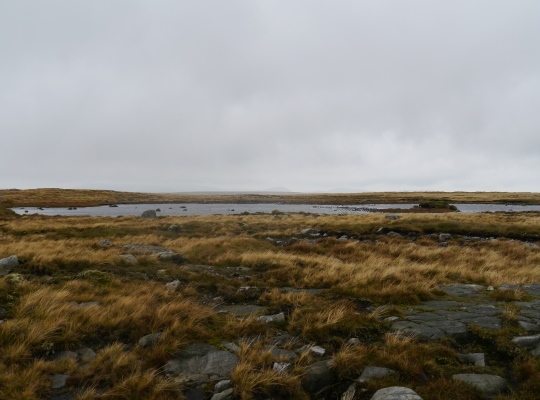 The East Tarns are a collection of tarns located to the west and north of Tarn Rigg Hill, the highest point of Baugh Fell in the north-western Dales. Although the OS map above ‘only’ shows half a dozen tarns, more recent editions of the OS Explorer series show no less than a further eight small tarns either side of the Bull Stones between Tarn Rigg Hill and Knoutberry Haw. 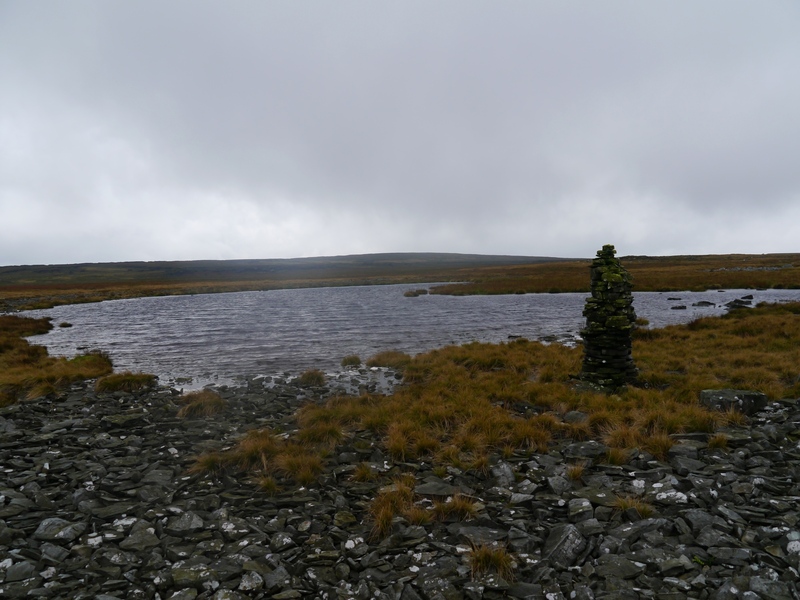 Whether there are in reality as many tarns as the OS map suggests is open to debate. 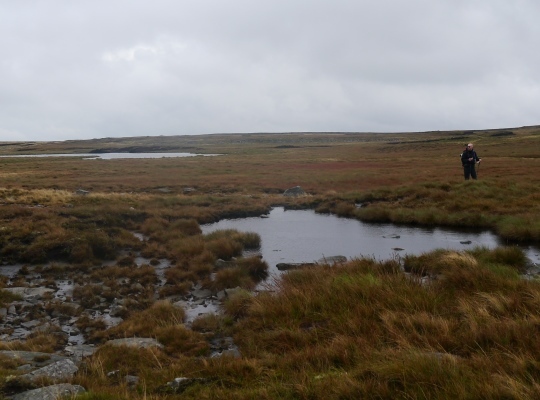 Whilst some are indeed tarns of some permanence there are definitely others that are more like areas of waterlogged moorland which are liable to disappear quickly in drier conditions – if such a thing exists on Baugh Fell! Considering the sheer size of Baugh Fell it is somewhat surprising to note that not a single recognised path or right of way crosses the vast summit area. 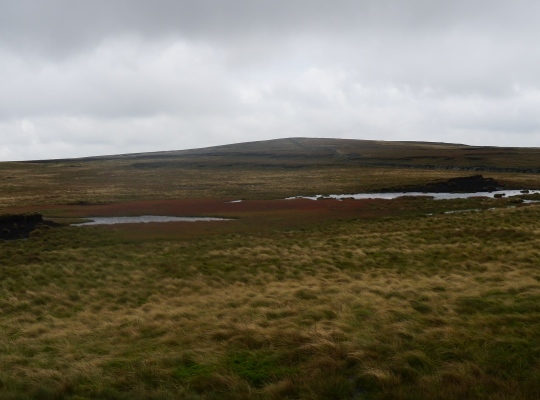 This lack of paths, coupled with the very wet and boggy nature of the ground make any visit to the East Tarns a serious undertaking. For adventurous walkers though it is definitely worth the effort.